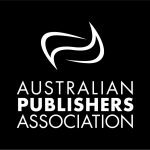 The Australian Book Industry Awards are an annual event to showcase excellence in the publishing of stories in Australia. When can publishers nominate their titles? Nominations Open – 15 January. Sign up for updates for nomination periods, and also check out the Nominate page. When is the ABIA Longlist announced? This first wave of judges’ choice will be announced on 7 March 2019. We will post on the News section and send an email to all our followers. When is the ABIA Shortlist announced? Shortlisted titles will be announced on 11 April 2019. We will post on the News section and send an email to all our followers. The Night of Nights is 2 May 2019. Can anyone attend the event? Yes. Tickets will go on sale 28 March 2019.
Who is the emcee for the event this year? We’re very excited that Casey Bennetto will guide us through the awards night! What are the categories and eligibility for all the awards?Read the details for each award on our Nominate page. What are the key dates for publishers to keep in mind?